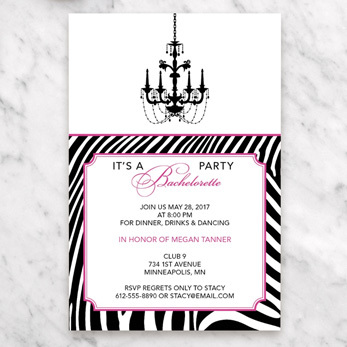 Bachelor & Bachelorette Party Invitations | Personalize Any Design! 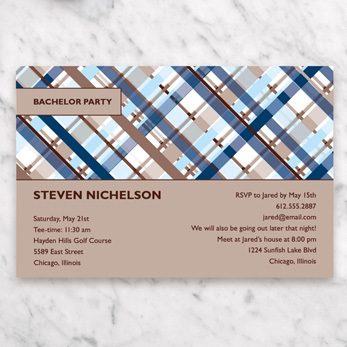 Whether the party entails a round of golf or a rowdy night out, shop invites to fit the groom’s style. Kick-off the party with these cute Bachelorette Invitations. Choose any colors for your design! I ordered these for the bride-to-be's bachelorette party invitations, and they could not have turned out any better! 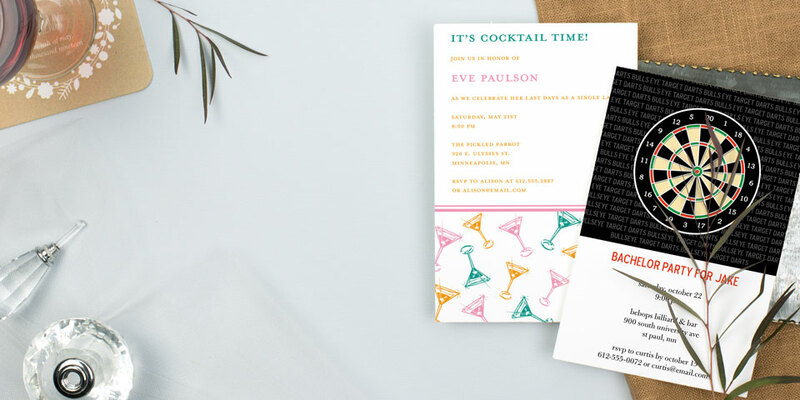 Boldly proclaim the news of your epic night to come with a personalized party invitation. Your party will take on a new level of excitement with an invite tailored to previewing the awesome night ahead. Complement your ladies’ night with designs featuring cocktails or stilettos, or find the perfect fit for your guys’ night with invites featuring darts, playing cards, or a cold mug of beer. Select your favorite design from our templates and then get to work customizing it to perfectly capture your evening. Whether it’s changing the colors to match the wedding hues or adding some humor to the wording, let your creativity take control. Make this invitation uniquely suited to your bride or groom!